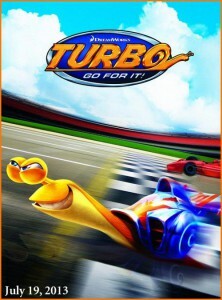 No, it’s not another addition to the Neverending Story series… it’s Dreamworks Animation’s newest project, Turbo. The folks over at Cartoon Brew gave us a preview of the sneak-peak poster and some background on the story. [Though the write-up quotes 2012, it's actually due in 2013 -- ye ed-otter.] 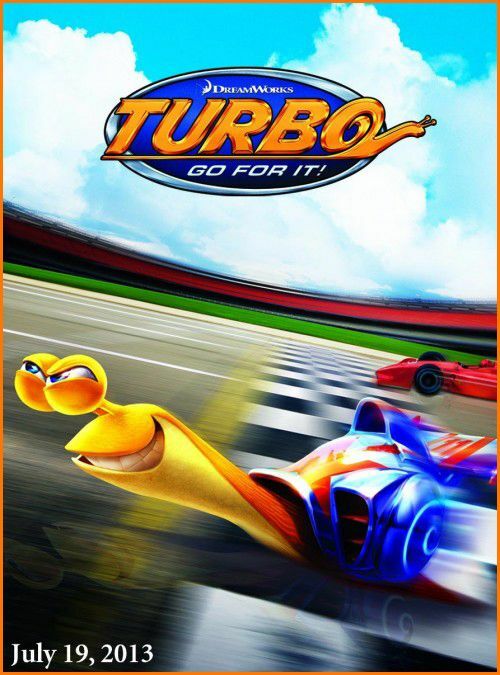 “Set for release in summer 2012, DreamWorks Animation’s Turbo is described as ‘a garden snail with dreams of becoming the fast snail in the world experiences a freak accident that might just allow him to realize his goal.’ Three actors have been attached to do voices: Ryan Reynolds, Marvin Duerkholz and Lil’ Mizerkk.” Dreamworks has also released higher-res versions of the main posters for the films Rise of the Guardians (coming this November) and The Croods (the new project from director Chris Sanders).